He also enjoys his fur children he shares with his best friend Crystal. Midnight, Walter, Molly, Kiki, Boo, Oliver, and Elwin, just to name a few. They enjoy taking Walter and Molly for walks around the lake. He also enjoys jogging, often using that time to create new stories or work out where the current one is going in his head. 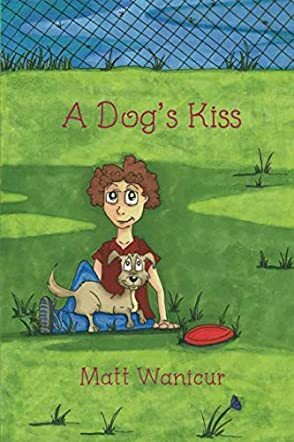 A Dog's Kiss by Matt Wanicur is a beautiful story that captures the love between humans and dogs. Elijah has moved away from his house located in Northeast Philadelphia, Pennsylvania. He now lives in San Diego, California and is happy with the way his life has turned out. After six months of dating, Elijah has taken his girlfriend Emma to meet his family. Emma has heard stories of Sammy Jo and she knows how much the German Shepherd means to Elijah. Emma loves animals and she can sense the bond between Elijah and Sammy Jo. When they play Frisbee together, Elijah knows it’s a symbol of their friendship. This heartwarming story is not only about the bond shared between Elijah and Sammy Jo, but also tackles the relevant topic of bullying. The author knits them together seamlessly, making it a wonderful storybook for children. The story is real and palpable and many readers will be able to connect with Elijah's emotions. The narration is simple and detailed and takes readers into Elijah's and Sammy Jo's world. The story also helps readers understand why dogs are called man's best friend. The story will appeal to all dog lovers and might even encourage readers to get a dog if they do not have one. The love between Elijah and Sammy Jo runs through the entire story and the warmth, love, and friendship is tangible to readers. It is a perfect story to help children understand unconditional love and friendship. Must read for any age who feels bullying in this world needs to end, or if you just love dogs! !